Citrix is one of the most performance-sensitive applications used by enterprises. A problem in the Citrix infrastructure (wherever it may be in the Citrix server, network, etc.) will have a significant impact on the productivity of end-users using Citrix/VDI services. As ensuring good user experience and service availability is at the forefront of priorities for organizations today, administrators continue to look for cutting-edge performance management solutions that go beyond just basic monitoring of CPU/memory on Citrix servers. They require deep visibility into user experience and holistic understanding of both Citrix performance and the health of the service as a whole. Although native Citrix tools, such as Director, provide decent coverage of performance monitoring for the Citrix tiers, there are various factors that are driving enterprises to look into third-party Citrix monitoring tools that provide more extensive monitoring reach and depth, as well as end-to-end visibility for the Citrix tiers and supporting infrastructure. In this article, we will discuss these factors in detail, and how they impact the adoption of Citrix performance monitoring tools. With the widespread adoption of cloud technologies, organizations are increasingly deploying Citrix in the public cloud, such as Microsoft Azure and AWS. 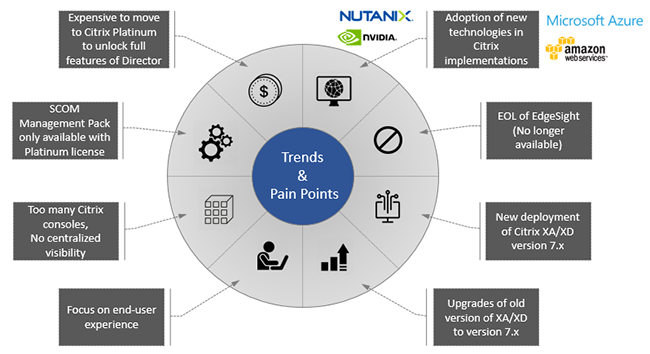 Also, many enterprises are hosting their Citrix deployments on hyper-converged infrastructures, such as Nutanix. For end-to-end visibility, IT teams need to be able to monitor the Citrix tiers and the underlying infrastructure wherever Citrix services are running – on-premises, cloud, and container environments. Another trend is the increasing use of GPU technology (such as NVIDIA) for graphic-intensive applications deployed on Citrix XenApp and XenDesktop. In such cases, conventional CPU monitoring is not sufficient. Organizations need to understand how GPU resources are being used and what applications/users are accessing those resources in order to know when capacity needs to be increased. With the EOL and EOS of Citrix EdgeSight, customers deploying Citrix XenApp and XenDesktop 7.x no longer have the level of performance visibility they did with previous versions. Therefore, Citrix customers moving to XenApp and XenDesktop 7.x (both new deployments and upgrades from 6.5) are forced to look into newer options for Citrix monitoring. The full feature set of Citrix Director is only available to Citrix Platinum customers. Citrix customers who are not on Platinum licensing must either look for an alternative monitoring solution or consider an upgrade to Platinum, which can be very costly. Even with the full feature set of Citrix Director, customers will only get a view into the performance of some of the Citrix tiers (XenApp sessions, XenDesktop sessions, etc.). To get a single-pane-of-glass view across all of the Citrix tiers (XenServer, XenMobile, NetScaler, StoreFront, PVS, etc. ), to monitor non-Citrix tiers and to track user experience quality , Citrix customers must look for more comprehensive third-party solutions. The Citrix SCOM Management Pack for XenApp and XenDesktop (formerly Comtrade) is only available to Citrix Platinum customers. But moreover, this management pack again only supports monitoring the Citrix tiers and not the supporting infrastructure. To ensure quality service delivery, customers must have visibility into virtualization, storage, network and other tiers as well, and therefore will need to purchase multiple additional management packs for Microsoft SCOM. A single management pack that integrates monitoring of all Citrix and non-Citrix tiers into the SCOM console is the real solution for companies that use SCOM. An important point to note is that Citrix does not provide a single unified console for monitoring all of its own products. While Citrix Director provides visibility into XenApp sessions and XenDesktop VMs, Citrix NetScaler MAS separately provides insight into user experience and activity through NetScalers. Citrix XenServer metrics can be seen in Citrix XenCenter. Likewise, administration consoles are available for Citrix XenMobile, Citrix Provisioning services, etc. For total visibility into the performance of the Citrix service, administrators are forced to use multiple consoles and will need to manually correlate metrics for root cause diagnosis and troubleshooting, when performance issues arise. Ensuring superior Citrix user experience has become one of the main factors in determining the success of a Citrix implementation. Unless end-users get seamless Citrix connectivity (logon, application launch, desktop access, etc. ), they cannot be productive in work, which, in turn, impacts the business. Native Citrix tools, such as Director, do not provide the necessary insights for user experience management and troubleshooting. Also, there is no synthetic logon testing functionality, very limited historical data analytics, and no correlation of user experience with infrastructure performance and configuration changes. 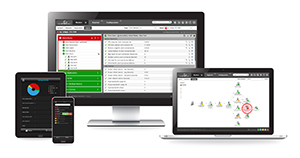 eG Enterprise, from eG Innovations, is a Citrix Ready-certified monitoring solution that addresses all of these challenges, providing much more robust and comprehensive monitoring capabilities than native Citrix monitoring tools. 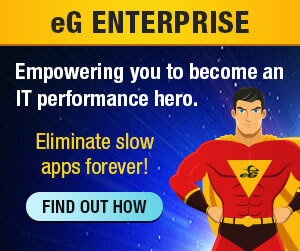 eG Enterprise is the only solution with depth and reach to monitor all aspects of Citrix user experience and includes built-in analytics and auto-diagnostic capabilities to solve Citrix performance problems in any environment – on-premises, cloud and container. Delivering end-to-end visibility across Citrix tiers (XenApp, XenDesktop, StoreFront, NetScaler, PVS, etc.) and supporting infrastructure (AD, network, storage, hypervisor, VM, etc. ), eG Enterprise ensures that administrators get the level of visibility they need to solve and prevent business-impacting Citrix problems.